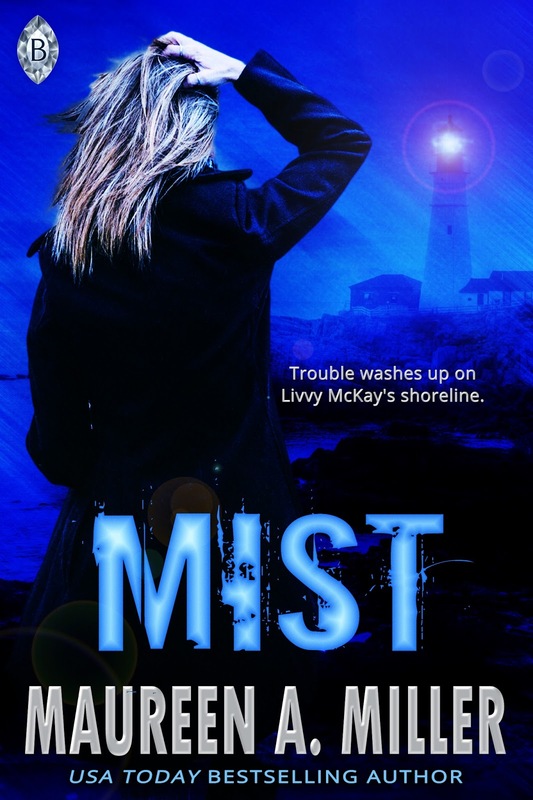 A mysterious footlocker washes up on Livvy McKay's shore. Minutes after recovering it she is assaulted by an intruder. Wounded and unable to give chase, she is startled by a knock at the front door. A stranger is looking to rent a boat from her business, McKAY'S CHARTERS. Livvy doesn't believe in coincidences. Especially when the stranger is wearing black-just like her assailant. Jack Morell is a desperate man. After receiving a cryptic phone call from his uncle-a call spiked with the sound of gunfire in the background, he is frantic to locate his uncle's ship. Warned to use discretion, Jack opts to rent a boat from McKAY'S CHARTERS for his search. Release date - November 16th! MIST is the second in a 3-book series featuring the adventures and romance of the employees of BLUE-LINK. BLUE-LINK is a fictional global company run by the enigmatic, Amanda Newton-a woman whose signature accessory is a blue diamond ring. The trilogy features SHADOW, MIST, and coming soon, DUSK. These are all stand-alone novels without cliffhanger endings. As she faced Jack, her breath hitched. Under the stark glow from the hanging lantern his features were beveled in shadows. Author? Scientist? Not damn likely. Not with that countenance. Not with the taut command he held over his body. He was a muscular animal coiled and ready for attack-and certainly a better weapon to have around than the lobster buoy. “Will a pork chop and salad do?” she rasped. In the tight confines of the kitchen, he literally had her boxed up against the counter. Gripping the granite edge she felt her elbow nudge a cookie jar. He leaned in. My God, was he going to choke her-or kiss her? Why was her heart pounding like a base drum? And why was she not shoving him away? Jack’s arm slid past her hip to haul open the freezer door. A waft of frigid air tickled her nose as he drew out an ice tray. Popping a few cubes onto a kitchen towel, he rolled the cloth up and gently pressed it to her face. Helplessly, she stared up into his eyes. So much turmoil and intensity lurked there. That maelstrom sucked her in. Hell, it stimulated her. She wanted to launch her arms around his neck and smash her body against this rugged vista. But no-she was paralyzed. And surely she was delusional. Going to the police to report the break-in was as fulfilling as going to a doctor to complain about a headache. After a lecture on owning a business, and the vulnerability of her location out on the peninsula, Livvy walked out of the Gull Harbor Police Department feeling like she was the criminal for not installing an adequate security system. That wasn’t going to help her sleep any better tonight…but the baseball bat under the bed might. As she pulled into the gravel parking lot in front of Sea Lantern Cottage, Livvy didn’t think the area felt that remote. A small jut of land marked the entrance to Gull Harbor on one side, and the gaping Atlantic filled the other. She climbed out of her Jetta and gazed across the harbor at the lineup of fish houses-wooden dwellings on stilts. They were only a ten-minute boat ride away. But if that were the case, then why did her hand hesitate on the front door knob? Why did she walk over to the living room window and peer inside as if she expected to find a shadow behind the drapes? USA TODAY bestselling author, Maureen A. Miller's first novel, WIDOW'S TALE, earned her a Golden Heart nomination in Romantic Suspense. Working in the software industry for fifteen years in a job that required extensive travel, Maureen chose to write during those lengthy airport layovers—escapism at its best. She is currently in the middle of a 3-book Romantic Suspense series featuring SHADOW, MIST, and DUSK. Recently, Maureen branched out into the Young Adult Science Fiction market with BEYOND and the BEYOND Series. She is having fun keeping her head in the stars! When she's not writing, Maureen enjoys supporting other authors. 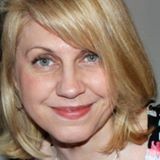 She is the founder of www.JustRomanticSuspense.com, and its offspring JUST sites. If I haven't scared you away by now, you can find out more about me at www.maureenamiller.com.